Given the first records of the domestication of cats dates back to when humans were first settling down to farm (1), it’s easy to imagine both human and cat enjoying the benefits of proximity, isn’t it? They’re magical, entertaining creatures, cats are. And they protected the farmers’ grain stores from rodents. It was a win-win! We’ve been companions ever since. Cats traveled the globe with us. Literally, as it turns out. 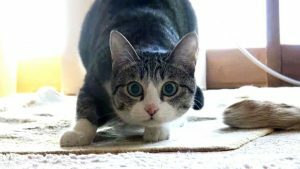 It came as quite the surprise when a research team led by geneticist Carlos Driscoll of the National Cancer Institute and scientists at the University of Oxford in England decided to trace the origin of domestic cats – and found that every single one of the 979 cats included in the project from around the world were “virtually indistinguishable” from the African Wildcat at the genetic level. That’s right, that purring, kneading bundle of soft, silky fur, born under different circumstances, could be just as at home stalking prey on the great plains of South Africa. Many assume the influence of living among humans would have had an impact on what cats have the ability to eat and use for sources of energy and nutrition, as appears to the be case for dogs. (2) Nope. Not so. Not at all. Despite their proximity to humans for at least 10,000 years, cats retain their unique anatomic, physiologic, metabolic, and behavioral adaptations consistent with eating a strictly carnivorous diet. (3) That is to say that cats, to this very day, remain obligate carnivores – and not just obligate carnivores, but hypercarnivores (4). By their genetic makeup, cats must eat the tissue of other animals in order to thrive. ⦁ Cats must have preformed vitamin A from animal tissue. Cats also lack the digestive enzymes necessary to derive benefit from plant-based sources of vitamin A. (13) Vitamin A comes from two sources: retinoids (animal-based) and carotenoids (plant-based). Retinol is preformed vitamin A, only available in animal-based sources (e.g. liver is rich in vitamin A). Cats cannot access the vitamin A from common ingredients we see in cat foods such carrots, pumpkin, sweet potato, spinach, and kale. If there is no liver in the cat food, synthetic vitamin A is added. ⦁ Cats must have preformed vitamin D. Cats do not synthesize vitamin D from sunlight, (14) and their bodies use vitamin D from animal tissues (cholecalciferol) much more efficiently (13) than plant-based vitamin D (ergocalciferol). ⦁ Cats appear to have a carb threshold. (15) beyond which they do not derive energy benefit given their high need for protein. ⦁ Energy from carbohydrates cannot replace needed energy from protein. (16) Many cats overeat on a high carbohydrate diet. They eat more calories than they need to maintain a healthy weight because they are trying to access enough protein. ⦁ The sugar transporter in cats’ intestines is nonadaptive to changes in dietary carbohydrate levels. (17) This literally means that anything other than a low-carbohydrate diet stresses their entire GI systems. ⦁ Salivary amylase, the enzyme used to initiate digestion of dietary starches (carbohydrates) is absent in cats, (18) and intestinal amylase appears to be exclusively derived from the pancreas. In fact, cats have just one pathway for digesting carbohydrates (compared to dogs and people, who have multiple pathways). Of course, these enzymes are not necessary in a prey-based diet with minimal starch content. The evolutionary history of the cat indicates that it has eaten a purely carnivorous diet throughout its entire development. It is critical to their long term health that we understand cats are a nutritionally and metabolically inflexible carnivore. This is even more important for cats with IBD. They need food they can best digest and utilize and that supports their proper GI pH to restore colonies of healthy bacteria. …except cats evolved eating moisture-rich food in the desert. (22) Kibble has virtually no moisture – and cats do not have a thirst-drive that keeps them properly hydrated (23). This is a clash of momentous impact: The number one reason for a vet visit by cats is bladder or urinary tract problems (24) – usually crystals and life-taking or life-threatening urinary tract blockages –problems that need not exist if we feed a moisture-rich, meat-based diet. (25) Cats, not designed to use all those carbs, grains, or starches in their food, not designed to derive needed protein from non-meat-based sources, and requiring moisture FROM their food to remain properly hydrated, experience kidney disease at a rate of seven times more than dogs (26). And our kibble fed cats, chronically dehydrated, die most frequently from kidney disease, the number one cause of death in cats over the age of five (27). Yet in the face of this, many of our vets STILL tell us our cats need to eat some kibble for dental health. And despite the fact that 80% of people with cats feed dry food, 85% of cats over the age of three years have dental disease (28). What the…. ????? How can they not notice this dichotomy? So we put down that bowl of kibble for kitty to “graze.” Except cats aren’t herbivores. Cats shouldn’t graze. Allowing cats to graze has resulted in a problem of “epidemic proportions.” 58% of our cats are either overweight or obese (29) – an increase of 90% over the past five years (30). So now we have fat cats. And that means 67% of our cats have arthritis (31). And being fat increases the risk of diabetes by 300% – 500% (32) – so it shouldn’t be surprising that the incidence of diabetes in our cats has DOUBLED in the past five years (33). As to Inflammatory Bowel Disease? THREE of the top 10 reasons for vet visits by cats in the past several years are related to digestion. Our cats suffer chronic vomiting, diarrhea, and now? Now full-blown Inflammatory Bowel Disease (IBD) makes the “Top 10” list for vet visits (34). Is it any wonder, really, once we understand what they naturally eat compared to what so many of us feed them? Wait – Don’t Cats Eat ANY Grains, Grasses, or Vegetables? No. Not naturally, no they don’t. Some cats love to chomp grass, eat lettuce, or have a bread obsession. I love donuts – this does not mean it is a good food choice for me. In their natural environment, they don’t have access to much but grasses. And those? Well, the studies indicate grass eating is rare: ingested grass is likely incidental while bug hunting. Cats are not natural to many environments, and their impact on those environments is hotly debated, thus there are many feral cat predation studies – which are the same thing as feral domestic cat diet studies. Thanks to those studies, we have a VERY clear picture of what our domestic cats eat in the wild due to the efforts of Dr. Esther Plantinga and colleagues, who analyzed that data. We now know exactly what the average nutritional make-up of that diet is. In a meta-study published in the British Journal of Nutrition in 2011, Estimation of the dietary nutrient profile of free-roaming feral cats: possible implications for nutrition of domestic cats, the entire body of feral cat diet studies (of which there is a very large body) was parsed to eliminate studies of Wildcat diets; all studies with a small number of cats; and all studies where cats had access to more than 5% human provided food (even if garbage). (35) This yielded 27 studies. Analysis of those studies found the natural diet of a domestic feral cat, on average, is (on a dry matter basis). The amount of carbohydrates cats naturally eat is very, very small. Where does it come from? 21 of 27 studies reported small amounts of plant material found in the diet. One of the studies reported that 26% of the cats consumed vegetation consisting mostly of a few strands of grass. The authors concluded that plant material is a minor component of the diet of feral cats, and that ingestion is likely to occur “incidentally while foraging for invertebrates.” So for the most part, carbohydrates from plant matter are not a meaningful or even intentional part of the diet. In fact, those carbs come from what their prey has eaten: “…when consuming whole prey, as cats naturally do, the digesta [stomach contents and nutrients in the intestines] of prey items may contain some starch.” The authors note that the digesta mass of mice and rats is a very small component of the cats’ diet, being just 0.5% – 2% of the body weight of the prey. ⦁ Fish – 0.3% of items consumed. Fish-eating was present in just 3 of the 27 studies. Cats eat small prey mammals. Not grains. Not legumes. Not vegetables. Not fruit. Essentially no fish – not even much “poultry” (birds). So why, then, do so many cat foods contain fish, soy, corn, wheat, rice, peas, spinach, kale, blueberries, cranberries – tomato? What are we doing to our cats? How has this happened? If cats were in charge of the pet food industry, cat food instructions would read, “remove mouse or rabbit from freezer: thaw and serve.” But feeding cats what they were meant to eat is not how the industry developed. The first commercial pet food was offered for sale early in the 20th century. It began as an offhand utilization of what was basically considered “meat junk,” the garbage created from human food production. …except very little was known about the actual nutritional needs of dogs and cats. Most fed table scraps, and cats were allowed outdoors to hunt. And then World War II happened. With food rationing, we could not afford to feed our pets meat and what was considered “food waste” changed. Mark Morris, founder of Hill’s Pet, was the first to focus on the role of diet in pet health, focusing on research to determine their nutritional needs – and helped avert a mass euthanization of dogs by formulating a grain-based food. (36) And thus the species-inappropriate diet was born. It served its purpose. But the low-cost benefit remained, and as more and more people brought pets into their lives and homes, a new field of pet food “science” emerged with the goal of formulating nutritionally adequate food with cheap ingredients that have marketing appeal to people. Today, multinational cat food companies have a global reach and invest a great deal of money and time in research and development to “build” cat food from ever-cheaper nutrient components, using chemicals to make them as tasty as possible (37) – all with the goal of minimizing costs and maximizing profits. As technology has progressed, more and more of the “waste” from human food production goes back into human foods, leaving true waste products, downed animals and roadkill for pet foods. (38, 39, 40). There are many companies that enter the market seeking to provide “higher quality” foods that are made from organic ingredients, or perhaps ingredients that are more appropriate for an obligate carnivore, responding to growing consumer awareness of what our cats (and dogs) actually need. But this spectrum results in a great variety of cat food – all of which is marketed as optimal nutrition, leaving consumers confused, and turning to their vets for information. Hill’s Pet provides the textbook, Small Animal Clinical Nutrition, usually free of charge to students. (43). So how can we, as consumers, expect to obtain unbiased information on the best diet to feed our pets from our veterinarians who sell the prescription foods of the company that taught them about nutrition? We certainly mean no offense to our vets, as we are sure that they recommend only what they think is best for our cats. But this is a fundamental conflict of interest. This is akin to our doctors learning about baby nutrition from Nestle, and our doctors selling Nestle baby formula and Gerber’s baby food (which Nestle owns) to us out of their offices. Instead of going shopping for our children at the supermarket, we go to our doctor’s offices – because our doctors warn us of the dangers of making our own food and meals for our babies – after all, the science of their nutrition is complicated. Our doctors explain to us that fresh food is dangerous for our children. It’s best for our children to eat the nutritionally balanced, highly processed diet despite our concerns over ingredient quality and the use of a long list of synthetic vitamins to make up for what’s been destroyed in the process of making the food. Not only that – but then our children go on to eat the adult formulas – and eat nothing but highly processed foods their entire lives. …except our doctors don’t tell us that, do they? They tell us to eat a minimally processed diet with whole fresh foods for our best health. They tell us to eat a balanced diet – balanced meaning, the “right” amount of each food group – protein, fruits, vegetables, grains, and dairy products – based on the USDA food pyramid or the updated “My Plate”. (44) They tell us our nutritional needs will be met if we eat a wide variety of fruits, vegetables, grains, and protein sources. I wonder why vets don’t use something similar for our cats? Of course, a variety of meats and cuts are usually easy for most of us to obtain. A variety of organs? Not so much. So yes, most homemade raw cat food recipes include some supplementation (though some of that is to account for what is provided by the parts of the animals we don’t feed). But the time-tested balanced recipes are all based on this simple prey model – because even when compared to AAFCO and FEDIAF nutrient requirements (which are designed to ensure the very highly processed diets meet cats’ needs despite nutrient damage from processing and heat) this is what cats need. So What Does My IBD Cat Need Nutritionally? ⦁ A moisture-rich diet. Dehydration is a frequent problem in cats with IBD. Kibble is not an appropriate food format for any cat, but especially not IBD cats that need the least amount of strain on their inflamed, impaired gastrointestinal systems. ⦁ Electrolytes. With chronic vomiting and/or diarrhea, low circulating serum blood levels of potassium are common. Foods containing 0.8% – 1.0% potassium on a dry matter basis are recommended. ⦁ High Protein: a minimum of 35% protein on a dry matter basis. Protein malnutrition is common in IBD cats due to damage to the GI tract from inflammation and the impaired ability to efficiently metabolize proteins – it is also due to losses from chronic diarrhea and/or chronic vomiting. ⦁ Low fiber. The textbook notes that while fiber can help normalize transit time through the small bowel, the level of fiber required to reduce a “hypermotile” state reduces both energy density and digestibility of the food. It is also noted that in humans with IBD, a “small amount” of fermentable fiber has been shown to promote the growth of healthy bacteria (Bifidobacterium and lactobacillus). The problem that isn’t addressed in this textbook? Cats have one of the shortest GI tract-to-body lengths in the animal world. They are not “built” to ferment fiber. Yes, there are studies indicating fiber given to cats promotes the growth of healthy bacteria. We can achieve the same thing by simply providing them with known, researched strains of probiotics. Please see Probiotics for Cats: Human Grade Probiotics Instructions, here: www.ibdkitties.net/probiotics/. ⦁ B12 (cobalamin). It is noted that a B12 (cobalamin) deficiency is common in cats with IBD. B12 shots are recommended. An important note: research published in 2013 indicates that chronic diarrhea associated with IBD when there is low serum cobalamin (B12) will NOT resolve until B12 levels are normalized. (49) www.ibdkitties.net/the-importance-of-b12/. ⦁ Zinc. A zinc deficiency is “well recognized in people” as a complication of IBD. It is suggested that if cats with IBD have poor coat quality or dermatitis that zinc supplementation be considered. This should ONLY be done in consultation with your veterinarian, as cats are very sensitive to zinc and at relatively low levels it is toxic to them and can cause severe anemia and multiple organ failure leading to death. ⦁ Omega 3 fatty acids. While there is little research in dogs and cats regarding the role of omega 3s in IBD, there is clinical evidence in people that not only do omega 3s help control the inflammation of the GI tract, it appears that omega 3 fatty acids act as competitive agonists to pathogenic bacteria. We note that if omega 3 fatty acids are to be supplemented, they need to be in the form of fish oils, krill oil or green lipped mussel oil or powders are recommended as they are in a phospholipid base which makes them more bioavailable – they also have higher levels of antioxidants than other fish oils and thus are less susceptible to oxidation. Rancid fats and omegas in pet foods are thought to contribute to the development of kidney disease. If you wish to add these to your pet’s diet, as with anything new, please introduce them slowly. What does “highly digestible” mean? Merriam-Webster defines digestibility as “the percentage of foodstuff taken into the digestive tract that is absorbed by the body.” (50) Simply put, it is the difference between how much food your cat eats and how much is excreted in stool. What they can’t digest, they excrete. Let’s look at protein, being so important to a cat. To determine the digestibility of protein (or any individual nutrient), the amount of the individual nutrient in the stool is determined. So if that 5.5 ounce can of food contains 19 grams of protein, and kitty excretes 3 grams of protein in the stool, kitty used, kitty absorbed, kitty metabolized 16 grams of protein. 16 grams of protein absorbed divided by the 19 grams of protein eaten = 84%. The protein in that food is 84% digestible. But different protein sources have differing digestibility due to their biological values, and different foods have varying ingredients that make the protein more or less accessible to the body. If we presume both canned foods have the same protein as the main ingredient, how can there be such a big difference in digestibility? Digestibility is impacted by many factors apart from protein sources, though protein quality is an important factor in digestibility of the food and bioavailability of the nutrients. Differences arise from protein source, protein quality, the macronutrient content, other ingredient differences of the foods: the presence (or lack) of fiber, gums or thickeners, particle sizes, processing techniques, the temperatures achieved in processing – and, of course, the age and health of the animal eating the food (51). As you can see in the table that summarizes food format research done in cats, raw food – the food format cats naturally eat – is easiest for them to fully utilize. Does that really come as much of a surprise? When discussing cat food, “high quality food” starts by being a food that is appropriate given the cat’s physiologic and metabolic needs. This is called “species appropriate” or “biologically appropriate” food. It refers to “high” protein, extremely low carbohydrate, low fiber food comprised of fresh, minimally processed meat and organ (a source of calcium and the minimum of other ingredients needed to make it nutritionally complete). This diet, this food will provide the most easily accessible nutrition. Comprised of whole, fresh human grade animal-based proteins and fat. This means homemade raw or a few commercial raw foods. Homemade cooked is also an option, though cats do best with the naturally occurring enzymes in raw food. Cooking destroys these enzymes and increases stress on the pancreas. Please note, many foods, even canned foods and foods marketed as “grain-free” contain non-meat based proteins such as soy or peas. These cost less than meat and that is the only reason they are there: to increase the apparent protein level of the food. Almost all commercial canned and kibble cat foods contain pet grade (waste product) meats and other ingredients, regardless of those pretty marketing pictures. Why No Dry Food. There are a myriad of problems with dry food for pets, especially cats. They are discussed at length by many: Dr. Elizabeth Hodgkins (former head of Technical Affairs for Hill’s Pet for over a decade), Dr. Lisa Pierson, Dr. Jean Hofve, and Dr. Karen Becker, to name a few. But there is one over-arching reason to avoid dry food for our cats – especially our IBD cats: the heat needed to produce kibble creates a compound that in humans is linked to inflammation, rapid aging, Alzheimers, and cancer – notably gastrointestinal cancer and colorectal cancer. These are a by-product of the Maillard reaction, and are called advanced glycation end-products. As Dr. Becker explains, “When a protein joins with a carbohydrate, the biochemical result is a compound that can cause widespread inflammation and damage in the body. Advanced glycation end products have been extensively studied in humans, and have been shown to exacerbate diabetes and interfere with kidney function. AGE has also been linked to aging, Alzheimer’s disease, cancer, and more recently, neurologic disease such as intervertebral disc disease. AGE studies in humans have revealed that we make the compound in our bodies, but we also have mechanisms to deal with it. However, if we eat a diet high in processed foods, it increases the level of AGE in our bodies. A direct link exists between the amount of processed foods consumed and the level of AGE in the blood. The reverse is also true: eat foods low in AGE and AGE blood levels decrease. In fact, studies show that when people with diabetes eat a low AGE diet, it improves insulin sensitivity and kidney function.” This quote is from an article by Dr. Becker who interviewed another vet examining AGEs in pet food. The pilot study, which examined pet foods for AGEs found them –and found that there is a direct link between processing and the presence of advanced glycation end-products. The study found consistently in the pet food examined that “the less processing that occurs, the less heat applied, the more moisture maintained, the lower the AGE.” As IBD increases the risk that our cats will develop intestinal lymphoma, obviously removing potential carcinogens from their diet should be considered important, if not imperative. Please see reference 56 for further links and information. Minimally processed. We know from human nutrition it is healthiest if nutrients are consumed in their natural, unprocessed, form. Not only can processing damage nutrients but science is starting to understand the importance of consuming some nutrients at the same time and in the same quantities as they naturally occur. The more we provide nutrients in an unnatural form, the more likely we are providing them in a less than optimal manner just because of things we don’t know. It is pure hubris to believe we have anywhere near a complete understanding of feline nutrition, and our cats are suffering because we feed them a highly processed diet with synthetic vitamins replacing those damaged by the process of making their food. We see it time and again in cats with inflammatory bowel disease. We rip out our hair trying to identify a novel protein that doesn’t trigger problems – when all along, the problem was the combination of ingredients or the processing of the food, not the protein! When given fresh and human grade, many cats that were “allergic” to chicken are almost magically no longer sensitive to the protein. Yes, some need organic, non-GMO fed meat. Made with high quality protein. That means no by-products. Named organ (like liver) is actually good for kitty. But look for food that has only named meat, no by-products, best if there is just one type of protein, and it is best to avoid fish. Low in carbohydrates. Cats will overeat high carbohydrate foods in an attempt to derive enough protein, as energy from carbohydrates cannot replace their need for energy from protein. (57) This puts them at risk for obesity, diabetes, and many GI disorders (principally fatty liver disease, inflammatory bowel disease and pancreatitis). Low in fiber. Unless a cat has an already damaged intestinal tract, a cat does not need fiber in the diet. Cats have one of the shortest GI tract-to-body lengths in the animal world: unlike humans, they are not physiologically meant to ferment fibers and their natural diet contains almost no plant-based fiber. (58) Fiber produces bulky stools, and cats naturally pass very small, firm, odorless stool. No, or very little fruits and vegetables. If there are any, they are less than 5% of the total food and there only for antioxidant support. Only low glycemic vegetables (that are safer for cats to eat) should be used. No thickeners or at the very least a bare minimum of thickeners. It is nearly impossible to find a canned food without some form of thickener, whether it is tapioca, potato starch, guar gum, locust bean gum, agar-agar, xanthan gum, carrageenan or the many others used. In humans, many of the thickeners have been linked to the development of inflammatory bowel disease, via dysregulation of the gut flora. Notable among them are carrageenan, xanthan gum, and maltodextrin (which is generally not used in pet foods, but is in many supplements as a flow agent in small amounts – in human foods it is far more prevalent and in much larger quantities. It is also known as “modified food starch”). (59) Carrageenan is a particularly nasty ingredient. It is a red algae-derived polysaccharide that according to the International Agency for Research on Cancer (IRAC) shows “sufficient evidence for the carcinogenicity of degraded carrageenan in animals to regard it as posing a carcinogenic risk to humans.” (60) Of course, non-degraded carrageenan is used in human and pet foods. But as you can see from the discussion in the link for the reference, the process of digestion can degrade carrageenan. Not so safe once digested! 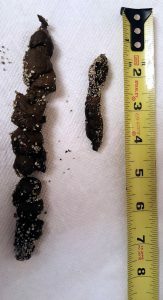 The importance of feeding a cat with inflammatory bowel disease – in fact, all cats – a highly digestible, species appropriate diet cannot be ignored nor overstated, not only for its nutritional aspect, but also for the strain a highly processed diet puts on the entire digestive system of the cat in trying to digest food that is devoid of natural nutrients and enzymes, which ultimately results in inflammation. Of course it makes sense an IBD cat needs the least inflammatory diet possible. Many of the top diseases our cats suffer, including IBD, are directly related to their diets – and if not caused by them, then exacerbated by them – and can often be avoided or mitigated by providing them with whole food-based nutrition. 11) Bernard, M, Raising Cats Naturally: How to care for your cat the way nature intended. Blakkatz Publishing 2003. 36) Haselbush WC 1984. Mark Morris Veterinarian, R.R. Donnelly & Sons Company. 44) Hand et al 2010. Small Animal Clinical Nutrition, 5th Edition; Mark Morris Institute, Topeka, KS pp 1068-71. 51) Hamper et al 2015. Apparent nutrient digestibility of two raw diets in domestic kittens, J Feline Med Surg. 2015 Sep 23. 53) Thixton, S. What is the difference between Human Grade/Quality and Pet Grade/Quality Pet Food Ingredients? 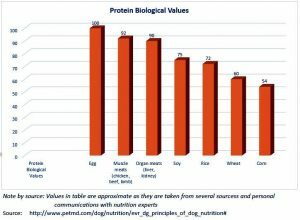 http://truthaboutpetfood.com/what-is-the-difference-between-human-gradequality-and-pet-gradequality-pet-food-ingredients/ and references 38, 39 and 40.